Who Has T-Rex Sued? Since 2012 T-Rex Property AB has filed 44 lawsuits relating to patent infringement. Lawsuit targets have included Lamar, Clear Channel, Outfront, Adams, Fairway, Renfro, Durden, Barnes, Las Vegas Billboards, Total, Stokely and Maxmedia. You can see a list of the lawsuits and read the specific complaints here. What Do The Lawsuits Say? The lawsuit states that the billboard company using a computer to remotely control digital signs is infringing T-Rex’s patent and requests that the court award damages to T-Rex for the infringement. T-Rex then threatens to proceed with a jury trial unless the billboard company or sign manufacturer settle. Are You At Risk Of A Lawsuit? 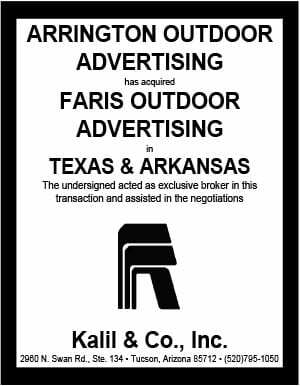 Not if you’ve bought a sign from Watchfire, Daktronics or Formetco because those three manufacturers have settled with T-Rex so that all users of their products are indemnified from litigation. If you use anyone else’s signs you are at risk of a lawsuit. 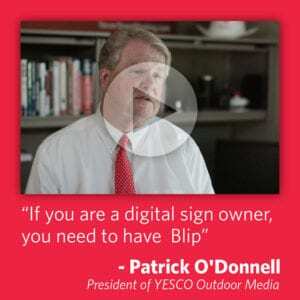 T-Rex has begun suing billboard companies which use Yesco digital signs. Insider expects T-Rex to continue suing operators who use products from sign companies who haven’t settled. What Should You Do? Nothing if your digital sign was made by Watchfire, Daktronics or Formetco. Your protected from a lawsuit. Otherwise you should talk with your sign rep to understand what your manufacturer will do to protect you if you get sued. Insider wouldn’t buy a digital sign from a manufacturer which hadn’t settled with T-Rex unless he was indemnified by the manufacturer from all costs of defending a lawsuit.